Does telling and re-telling improve writing? In new research conducted by Trina Spencer and Douglas Petersen, the hypothesis being tested is if an improvement in oral narration and language would lead to an improvement of writing skills. The results support the claim that progress in writing can be made in the absence of typical transcription instruction. Good article that specifies what the research tells us on how to best do interventions with our students. The European Dyslexia Charter was launched at the European Parliament in Brussels by MEP Francis Zammit Dimech to give dyslexic people more opportunities to fulfill their aspirations in life. Read the article in the link for today for the outcome of this remarkable research. Are Green Glasses the ultimate fix for Dyslexia? Researchers at the São Paulo State University in Brazil and Paris Diderot University in France have for the first time conclusively showed that green light filter can help children overcome symptoms of dyslexia. Specifically, nine and ten year-old children with dyslexia improved their reading time significantly when using green color glasses. Young people with learning difficulties have highlighted key areas of research which could help to improve their lives. The 10 priorities include devising approaches to tackle bullying and creating the best learning environments. Academics will use the information to plan new research initiatives at the University of Edinburgh and worldwide. It is not google glass but…. It sure looks like it. See the camera that will help dyslexic people with reading text and road signs and even do face recognition. A new study found that children with good comprehension relative to their decoding had larger gray matter volume in the dorsolateral prefrontal cortex, a part of the brain just above and to the side of the eyes. The Dyslexie font, designed in 2009 by graphic designer Christian Boer, claims to have positive effects on reading for those with dyslexia. This development comes from the argument that children with dyslexia require a larger font size and greater spacing between letters to enhance reading abilities. However, dyslexia has historically been known as a phonological deficit, rather than a visual one, calling to question this claim. This research looks into the effects on reading of using Dyslexie font compared to mainstream fonts, and uncovers the reality of specialized fonts such as Dyslexie. Using MRI measurements of the brain’s neural connections, or “white matter,” UW researchers have shown that, in struggling readers, the neural circuitry strengthened—and their reading performance improved—after just eight weeks of a specialized tutoring program. The study, published June 8 in Nature Communications, is the first to measure white matter during an intensive educational intervention and link children’s learning with their brains’ flexibility. New study where they review the evidence for cerebellar dysfunction in dyslexia, including clinical, behavioral, and structural and functional neuroimaging data; these findings are considered in the context of the increasing appreciation of the role of the cerebellum in language, cognition and complex skill acquisition. Concussions are finicky. They look different in different people. There still isn’t a clear biological signature we’re able to track. So instead, trainers and doctors lean on reported symptoms and neurocognitive tests, which measure things like memory, processing speed, and reaction time, to guide concussion diagnosis. These tests, though, don’t serve all athletes equally: Disabilities, particularly learning disabilities like attention-deficit hyperactivity disorder and dyslexia, skew the results, making concussions more challenging to diagnose and treat in disabled athletes. Because children get tested on how they can decode nonsense words to check if they could have dyslexia, now parents and teachers start to train them in learning nonsense words……..that’s really nonsense! Square Panda and Andre Agassi today announced Readvolution, a new initiative by the Andre Agassi Early Childhood Neuroscience Foundation that aims to drive innovation in dyslexia assessment and intervention. Readvolution plans to engage scientists from the University of California, San Francisco (UCSF) Weill Institute for Neurosciences to produce the first scientifically validated technology for scalable universal screening of dyslexia. Are US dyslexia laws not necessary and unfair? Professor Elliott, from the UK, argues that the current dyslexia policies in the US undermine the education and life chances of large numbers of children, particularly those from socially and economically disadvantaged backgrounds. True? or is he promoting his book: The Dyslexia debate ? Zebra Finches however, learn how to communicate through song from their parents. In this manner, they are similar to infants, as their auditory system is shaped by exposure to adult speech. 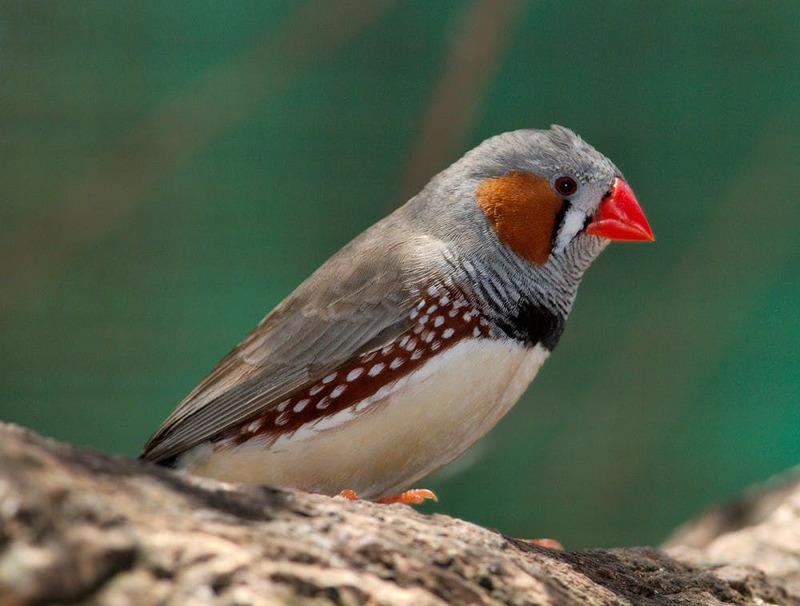 As such, Zebra Finches allow for scientists to develop a model that can be used to study the effects of mutations on auditory learning and processing. While scientists estimate that between 5 and 12 percent of children in the United States have dyslexia, just 4.5 percent of students in public schools are diagnosed with a “specific learning disability,” a category that includes dyslexia and other learning disabilities, according to the National Center for Education Statistics. In addition, while schools routinely screen children for hearing impairment, a problem that occurs much less frequently than dyslexia, screening for dyslexia is rare.